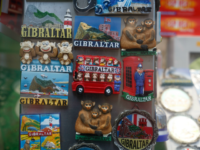 The British territory of Gibraltar could be excluded from a Brexit transition deal and the European Union’s (EU) Single Market unless the UK works to agree a specific arrangement with Madrid, a Spanish government source has threatened. 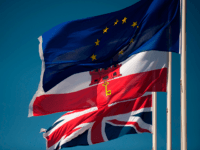 For the chief minister of Gibraltar, the British territory’s post-Brexit future rests on strengthening its ties with the United Kingdom. 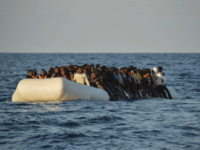 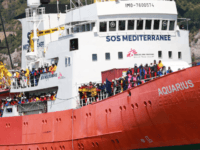 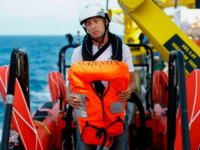 MADRID (AP) — Spain’s maritime rescue service says it has removed 60 migrants from three boats trying to cross the Strait of Gibraltar from Morocco. 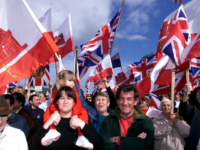 The Chief Minister of the British sovereign territory Gibraltar, the two and a half square mile outpost on the southern tip of Spain, has announced the Rock, as it is known, is to mark Brexit by replacing EU flags in the territory with Commonwealth ones. 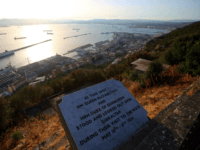 Leaked documents show that Spain wants to use its veto over the application of any European Union deal with the United Kingdom to Gibraltar to force citizens of the Rock to accept higher taxes. 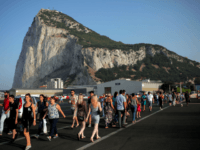 MADRID (AFP) – Gibraltar on Wednesday accused Spain of causing long traffic jams with tightened border controls, saying it was “clearly a response” to rising political tensions over the British territory. 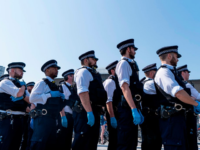 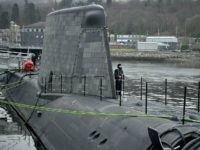 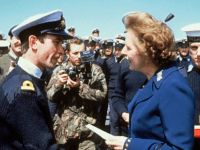 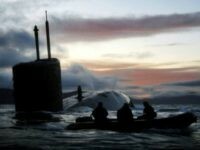 Madrid and London are once again locking horns over Gibraltar, a British overseas territory that appears to have become a Brexit negotiating weapon for Spain and the EU and signals difficulties ahead for Britain. 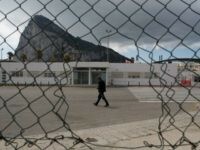 Brexit minister David Davis voiced Britain’s “steadfast” support for Gibraltar in talks with Spain’s foreign minister in Madrid on Monday amid a bitter sovereignty row over the tiny outcrop. 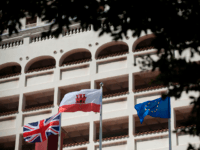 The Gibraltar government have restated their position that they are not to be a bargaining chip in Britain’s Brexit negotiations, and are certain they wish to remain part of the Kingdom, as the row over Spain’s posturing over the rock continues to ruffle feathers. 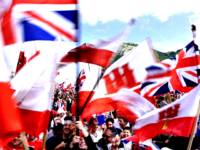 The Chief Minister of Gibraltar has given a series of interviews expressing disgust at the European Council accepting a Spanish veto over its EU relations in the upcoming Brexit negotiations, vowing that the Rock will be “even more British” after Brexit. 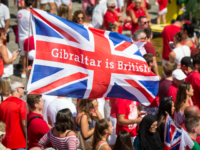 GIBRALTAR (AFP) – Gibraltarians voted by 96 percent to remain in the European Union but as Brexit looms, they say their attachment to the United Kingdom still prevails, unlike some in Scotland who would rather remain in the bloc.